The Dodge Hellcat’s red key unlocks the car’s full 707-horsepower of fury. The red key in a Mustang Boss 302 activates an asphalt-eating “TracMode.” The Volvo XC90 has a red key, too. It does what you think it does when you think about Volvos. It’s not an extra layer of performance or flame-spitting exhaust. Exactly the opposite, actually. The Volvo’s red key is like dad showing up at your house party with his shirt-and-fleece-vest telling you your friends can stay but only if the backyard wrestling ring is taken down. The red key doesn’t turn the XC90 into a lightless penalty box. It’s still an XC90, where “leather covers damn near everything, and when it doesn’t, it’s because something even nicer is there.” But the car’s speed and audio volume knobs can be capped so newly-minted license holders or valets can’t have too much fun. “A key for car owners who want the car to be driven responsibly even when someone else is driving it,” as Volvo describes it. Specifically, the red key tops out the car to a pre-selected speed, issues “speed warnings” at specified intervals, and limits volume to a pre-set level. 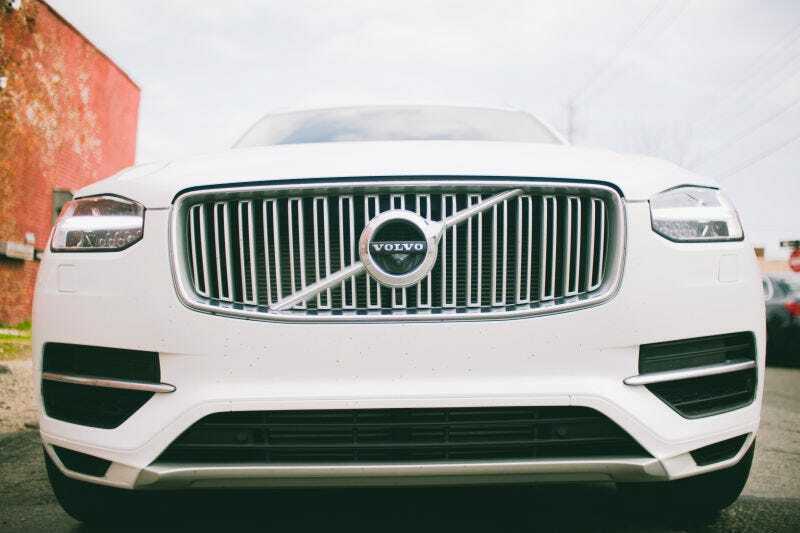 The adaptive cruise control is automatically set to the furthest distance, keeping the Volvo at as great a following distance as possible, and the car’s suite of driver assistance tech is always on. The key is one of many “preventative safety” accessories you can buy for your XC90, including a pre-driving Breathalyzer, some beautiful OEM snow chains and an under-engine skid plate.